← Shakeology 3-Day Cleanse Results! Round 2 of P90X…..and begin! Well after my 1 week stint of Insanity, a week of stretching and yoga to recover from it and a 3-day Shakeology cleanse I am officially back in action! I have been reunited with Tony Horton and his P90X crew for Round 2! Day 1 of Round 2 was Chest & Back followed by Ab Ripper X since I decided to do the “Classic” version this time around (I followed “Lean” last time which has more cardio training in it). I forgot how much I despise push-up’s and how bad I am at them. I don’t know if I will ever find a love for them or those dreaded “Dive Bombers” and “Diamonds” but I did my best and forgot the rest! 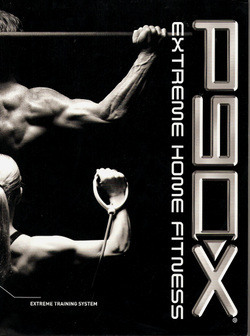 This round of P90X Classic will give me a new workout that I have never done…….Plyometrics. Doing the Lean version which didn’t have Plyo is why I probably failed miserably at Insanity…..granted there is the whole herniated disc thing but…I might have been better prepared if I at least did Plyo once a week for 3 months. Especially since Insanity is basically Plyo on crack….or speed….or whatever upper you fancy. I’m also really looking forward to this round because I also plan on subbing an Insanity workout in each week in place of CardioX . I love the CardioX workout BUT I would like to get my revenge on Insanity one day for making me cave the way I did. For those of you who don’t know me I rarely quit at anything….I don’t like to admit I can’t do something…it just pisses me off and makes me work harder to prove that I CAN do it! With that, tomorrow….Day 2….will be my 1st Plyo session! I hung with Insanity for a week so I should be okay for an hour with Plyo….right? !